The carefully, balanced composition of Nutri-Power makes it particularly suitable for bringing racing pigeons in condition. The easily digestible character of the product not only accelerates recovery after physical exercise, it also provides the pigeon fancier with another benefit. It is a food supplement that has to be fed to pigeons according to the instructions on the left. First of all we must point out that pigeons that were never fed a granulated feed may not immediately accept Nutri-Power. However, if they have tasted this granulated feed once your pigeons will eat it with great pleasure afterwards. 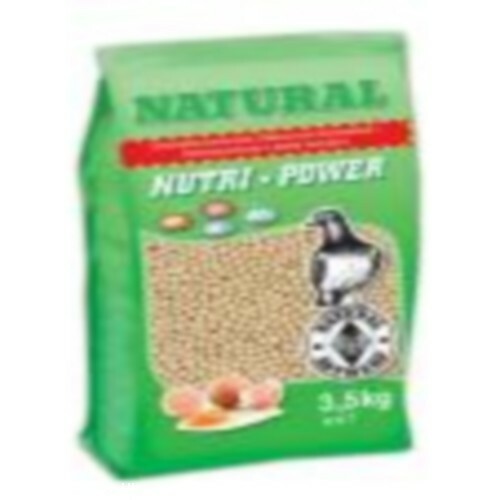 We advise feed the pigeons less one day before the first time they are fed with Nutri-Power.